Hollywood has always had a complicated love affair with Hawaii, and a new movie set to hit theatres this Friday is generating plenty of controversy, even before general audiences have caught a glimpse. The new Cameron Crowe movie, “Aloha” is already generating plenty of buzz—and, not just the good kind. Some Native Hawaiians and local residents are crying foul over the use of the word, “aloha,” in the title and the underrepresentation of Asian Americans in the movie, which stars Bradley Cooper, Emma Stone, and Rachel McAdams. In the Hawaiian language, aloha is not just a greeting or a word to convey love. It has other meanings including, compassion, mercy, grace. But, some say the military-themed love story misuses the word for profit. According to Hawaiian scholars, the word, "Aloha" has many meanings. During filming in 2013, the movie was untitled. State Film Commissioner Donne Dawson said if she had known the title, she would have advised against it. However, she adds that the use of the word would not have prevented the film from being made here. “I certainly would have seen it as an opportunity to counsel them…and then allow them to figure it out for themselves,” she said. But, the use of the word, “Aloha” isn’t the only reason some people are pitted against the movie. An Asian American watchdog group wonders why Asian Americans weren’t given any substantial roles in the film. As far as Asian characters, in the credits, they’re billed as “Indian pedestrian, upscale Japanese tourist, upscale restaurant guest, I mean these are people who don’t even have names so you know that their parts are not gonna be very big,” said Guy Aoki, founding president of Media Action Network for Asian Americans. He’s even encouraging people who live in Hawaii to boycott the movie because it may encourage other filmmakers to make movies about Hawaii without using Asian actors. 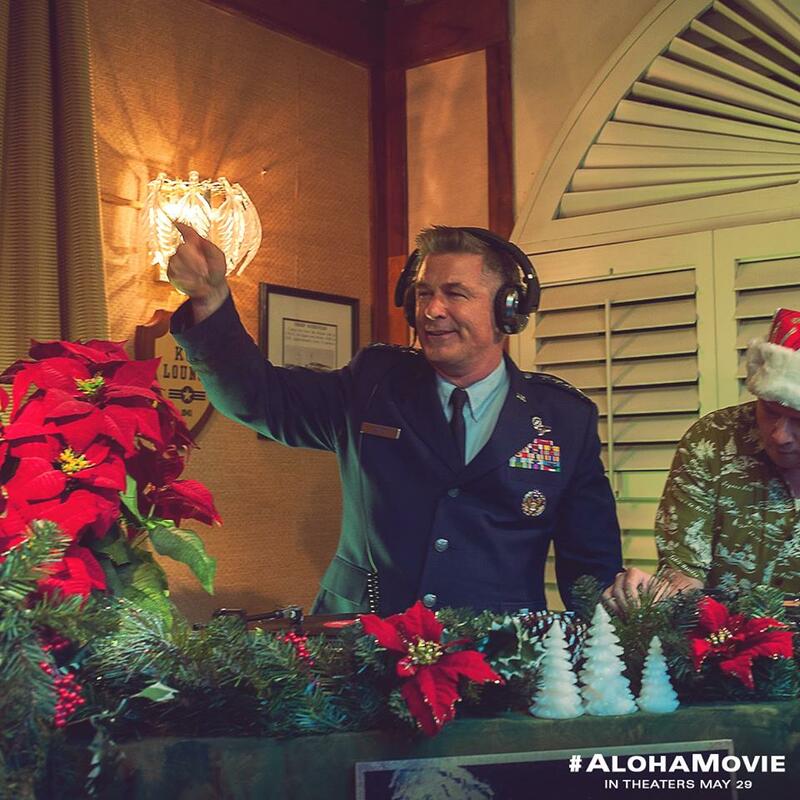 Alec Baldwin also stars in the movie, "Aloha." Whether or not anyone boycotts the film, one thing is clear: audiences love a controversy, and there’s even a chance the movie will draw an even bigger audience due to the controversy. After all, in Hollywood, even bad press is good press.